Ash Wednesday marks the beginning of the Lenten season and this Cross and Bible Coloring Page will help the kids remember the lessons of loving and giving that are the focus of Lent. This is also a good Sunday School project. Print out enough pages so each child has their own. Provide coloring utensils and let each child pick their own colors and get to work. This is a good project for Sunday School teachers to give to children as they talk about the importance of the bible and what it means to Christians. 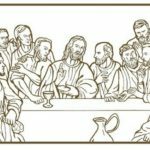 Additional Bible coloring pages can be found by clicking here. 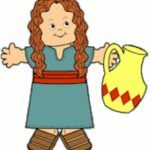 We also have a section of paper dolls to dress in biblical attire.